Kevin Smith won’t rest until every person who’s ever been in a Kevin Smith movie is in his Jay And Silent Bob Reboot, a fact evidenced by him bringing back everyone from Jason Lee and Brian O’Halloran to a couple dudes who played bit parts at the beginning of Jay And Silent Bob Strike Back. 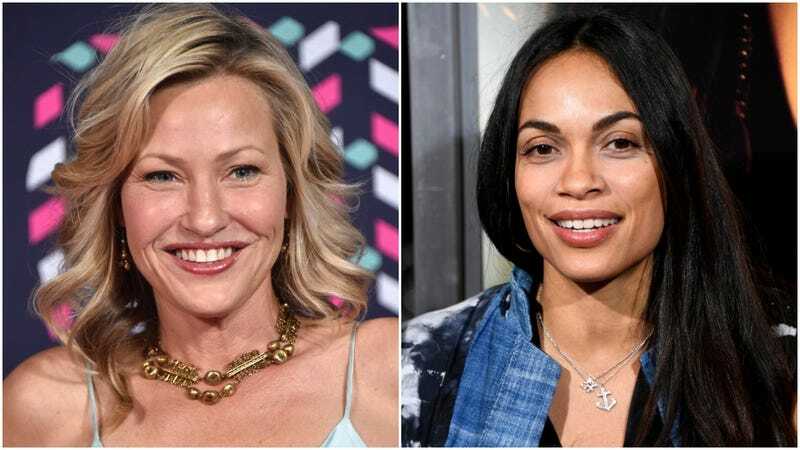 His Instagram is filled with casting updates—including the return of Jason Biggs and James Van Der Beek!—but just today he confirmed two big gets in Joey Lauren Adams and Rosario Dawson, both of whom are alums of his Viewaskeniverse. Adams will reprise her role as Chasing Amy’s Alyssa Jones, and Smith notes in a post about her casting that the Jay And Silent Bob franchise would never have happened without her. He made Chasing Amy for her, and it’s in that film that the Bluntman and Chronic characters—a key part of the Jay And Silent Bob movies—are introduced. “When I saw her on shoot day, I said ‘See all these trucks? All this equipment and all these people came all the way to #neworleans today—all because you and I met 24 years ago,” he writes. Aw. Dawson previously starred as the love interest of Brian O’Halloran’s Dante Hicks in Clerks II, though Smith’s post seems to indicate she’ll be playing a separate role in Reboot. “The only stain on her otherwise stellar resume is that she’s now played two #viewaskew characters,” he writes. See his full post about her casting below. Smith confirmed on Twitter yesterday that the film, which follows its titular characters on a trip to Hollywood to stop a Bluntman And Chronic reboot, had officially wrapped after a tidy 21-day shoot. A release date is still forthcoming, as are, we imagine, more casting surprises. Just give us Steve-Dave and we’ll be happy.